God is a God of freshness and change. But wait, before I leave that thought, let me make something very clear: God Himself isn't changing, nor is His Son. He "is the same yesterday and today and forever" (Heb. 13:8). Isn't that a great thought? God is a God of freshness and change. But wait, before I leave that thought, let me make something very clear: God Himself isn't changing, nor is His Son. He "is the same yesterday and today and forever" (Heb. 13:8). Isn't that a great thought? God is no different this year than He was last year or a decade ago. Nor will He change one hundred years from now. But even though He is the same, His working is different. It stays fresh. His ways and methods are forever fresh, unpredictably new. I need to warn you, if you like things to stay the same, you're going to be terribly uncomfortable in heaven. Everything is going to be new. God is a God of freshness and change. He flexes His methods. He alters His way so much, it's as if you've never seen it before. You can't imagine what it may be like next time. God says we are to be "imitators" of Him, which really means we are to "mimic." Since God is a God of freshness and change, so we should be. If we are to fulfill this command, then I suggest that we stay fresh—that we remain open, innovative, willing to change. Every age knows the temptation to try to restrict God's dealings. The majority of people in this world are maintainers. Once we get things set, we don't like them changed. Are you open to change in your life? Are you willing to risk? Are you flexible enough to innovate? Are you willing to tolerate the sheer possibility of making a massive change in your direction for life? "Lord, is it South America? Great! Or Indonesia? I'll do it. I'll move or change my profession. Fine! Are You leading me into a new venture? I'll do it. Count me in!" That's the spirit! It may mean moving across the street. It may mean moving across the States. It may mean moving across the seas. How flexible are you? It may not involve a move at all, only a willingness. God never changes, but His ways and methods are forever fresh, unpredictably new. Reprinted by permission. 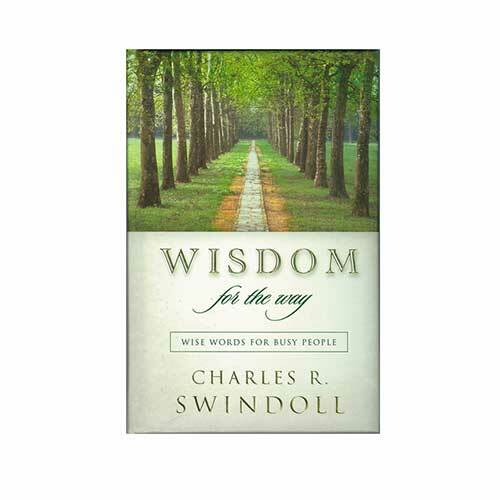 Dear Graduate: Letters of Wisdom from Charles R. Swindoll, Charles R. Swindoll, © 2007, Thomas Nelson, Inc., Nashville, Tennessee. All rights reserved. Copying or using this material without written permission from the publisher is strictly prohibited and in direct violation of copyright law.